Oh Poppy lovers. It has been a wee while. But I have the greatest of excuses, being that I am Upside Down in NZ. And it is HARD to write when you are upside down. Try it. I am here for just a little bit and thought I’d send word from over the (very big) pond as to where you must go and what you must do, should you too find yourself upside down. Like me. (Poppy). Enter Joe’s Garage. And sigh. There are 5 of these supersonic establishments throughout New Zealand and I hopped* into the one in Sumner, Christchurch for a brekky to challenge all other brekkies. Or is it brekkys? No. Brekkies. Now they both look weird. Tucked away alongside imposing cliffs, a stunning magestic outlook and set beside a long rambling beach scattered with families, friends and lots of people who know what to do with a wetsuit, Joe’s Garage has nabbed the perfect corner to relax, eat, chat with friends and think about what you might do in a wetsuit. If only you knew where to get one. (Round the corner from the guy in the surf shop who looks like he may have been in Point Break). The menu is a thing to amaze and I stared at it understanding nothing. Clever Trevors, John Shafts, Sweeties, Tuskers and Jokers, (yes, this is all true) twinkled up at me so I jumped in and went for a Big Toastie (I understood that one) with bacon, avocado, pesto and tomato WITH a Banana Smoothie with honey AND a flat white (kiwi coffee special) AND my eyes were too big for my tummy AND I couldn’t finish it BUT who cares. The Mackenzie Southern Grain Toastie was seriously delicious, the smoothie was ridiculously good, (apparently the ‘Killer Smoothie’ is even better…am confident the name is not sinister, despite its appearance) and the flat white had me hooked at hello. With organic yoghurt, free range eggs and gluten free options available, there is a happy healthy vibe at Joe’s and everyone seems to be smiling. There’s even colouring in and storybooks for the kiddywinkies – now that’s just nice. So if you find yourself hungry, thirsty or just in need of a hug and some friendly words in Sumner, head to Joe’s Garage. They’ll give your little one a Fluffy, you a Pikelet and you’ll be right as rain. *When I say hopped, I mean hopped as my toenail has split and keeps catching on my Jandal**. **When I say Jandal I mean flip flop. I’m just trying to get down with the natives. Find Joe’s on Facebook too! 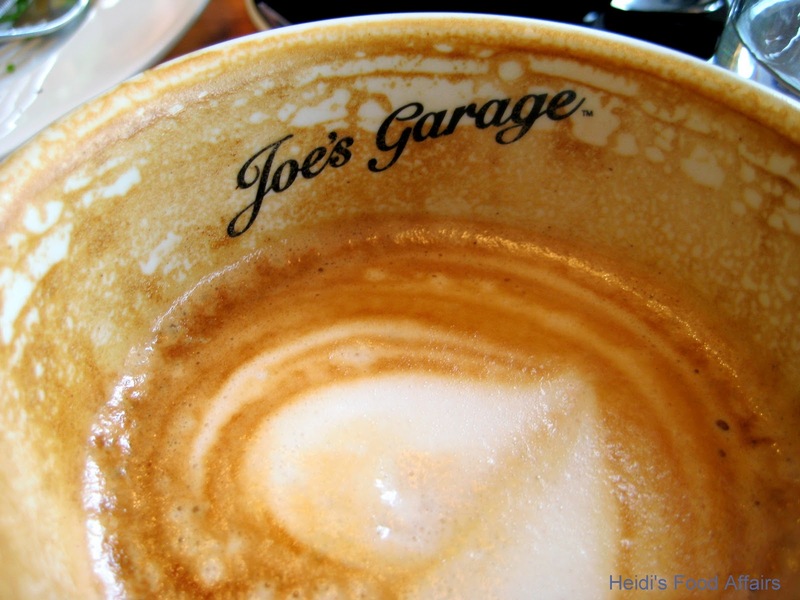 Win Brekky for 2 at Joe’s Garage! It’s true! You can win brekky for you and a pal at Joe’s! You can pick anything from their menu and bask in their shiny sunshine. Hurruh. Competition ends 10th December. Good luck Popsicles! Me me me me ME Poppy! I LOVE Joe’s!!!! I haven’t discovered Milou and Flock yet… are they tweetiepies? Hello Poppy Loves…thank you for leaving a comment on my blog post. the speak of fluffy pancakes and other yummy foods could almost warrant a flight over the ditch to visit Joe’s Garag. You know no one in Australia calls it ‘down under’, we just know we’re special in a big hemisphere, relatively quiet. Your post made me smile. 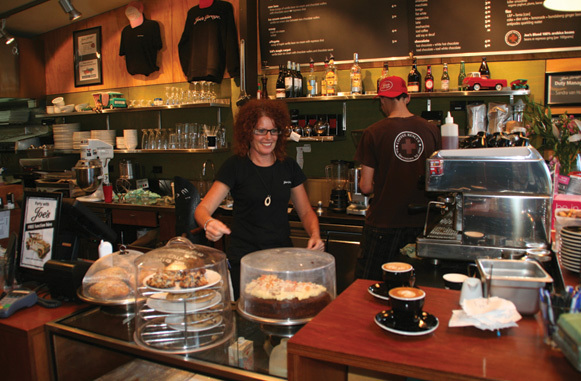 Joes garage in Sumner used to be a favourite of mine, I lived just up the road (I left following the big earthquake). There is also a great little junk shop up the street, I have found many a treasure there. Does it include the Wellington cafe? If yes, fingers crossed. Oh I adore Joe’s Garage. There’s one a 5 minute walk from my place in Wellington and it has become our go-to brunch establishment.